Venice and it’s beauty, historic buildings, ruler of the Adriatic seas is known around the world and people flock to Venice to snap photos. But there are lesser known attractions that have locals waiting in line. Limited quantities are available each year with more people wanting them. 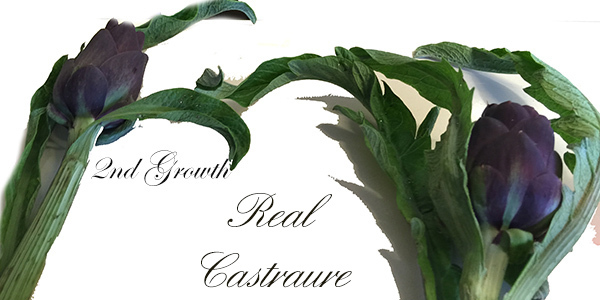 On the fairly large island of Sant’Erasmo (English: St Eramus) a favorite delicacy grows, for about 2 weeks, this elusive Castraure, a purple artichoke. Each year the island holds the Festival of the Castraure – but knowing exactly when it will be is a bit tricky. Their is a website and they do respond, may be 2 months but they advised me of the exact date, one week before! You can’t have a festival unless these delicious bites are ready. And the demand is very high among locals and local restaurants for this tasty artichoke (carciofo). 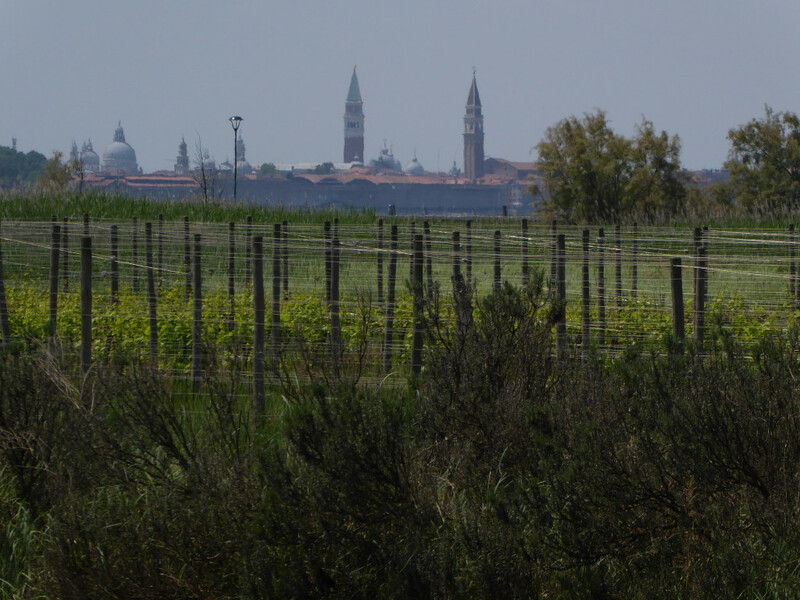 For centuries now, in the lagoon of Venice a favorite artichoke grows, in particular to Sant’Erasmo, Vignole, Lio Piccolo, Malamocco, Mazzorbo. But of all of them, the first flowers of the plants grown in Sant’Erasmo are the most prized. They cut off the first growth Castraure (purple artichoke) early so that the plant may produce additional 18-20 artichokes. And the locals are waiting for them, eating them deep fried in batter (truly good), canning them after boiling, and with Branzino, (sea bass) a local favorite, as well as in pasta dishes, lasagna and even raw! But as we were waiting for our friends a man appeared with fish, which he had just caught and a bag of artichokes. Naturally curious, I inquired. He gave me a very detailed lesson first in catching the fish (easier just to go to the fish market) and then how to prepare them. He had carefully arranged the meal, waiting for the arrival of the Castraure and then the fish. Because you can fish all year, but the Castraure are only for this short season in the spring. 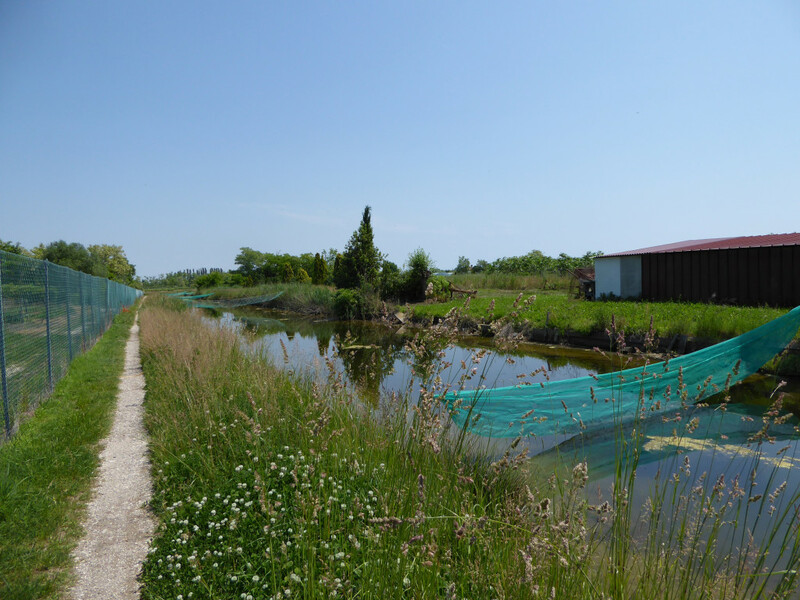 He had made the trek to Sant’Erasmo – easier for him because he has a boat. To the rescue, my Venetian friends had already planned a fishing excursion on their boat for early morning in the lagoon. First ingredient done but I get the assignment to go to Sant’Erasmo and find the Castraure. 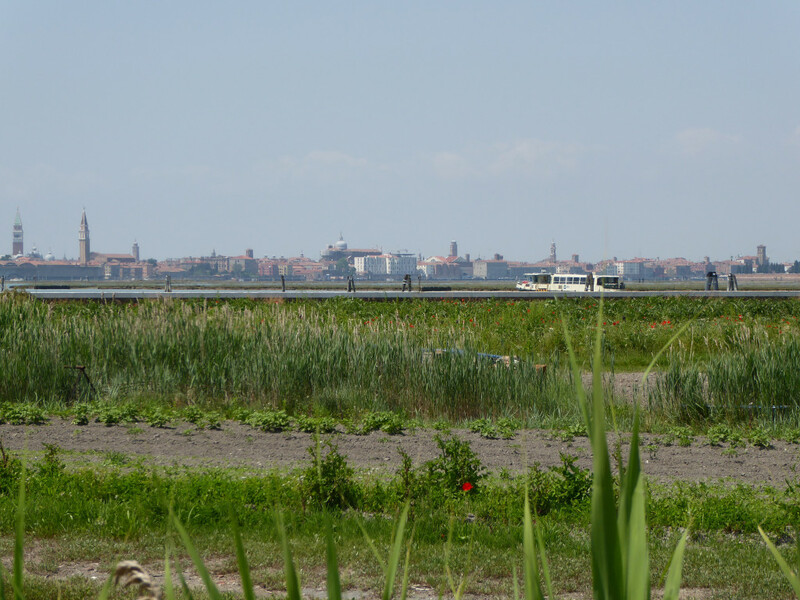 If you do not own a boat, there is only one way to get there, the #13 from Fondamenta Nove. With only 2 stops in Sant’Erasmo, it’s fairly easy to get there, but finding the artichokes proved to be more difficult. 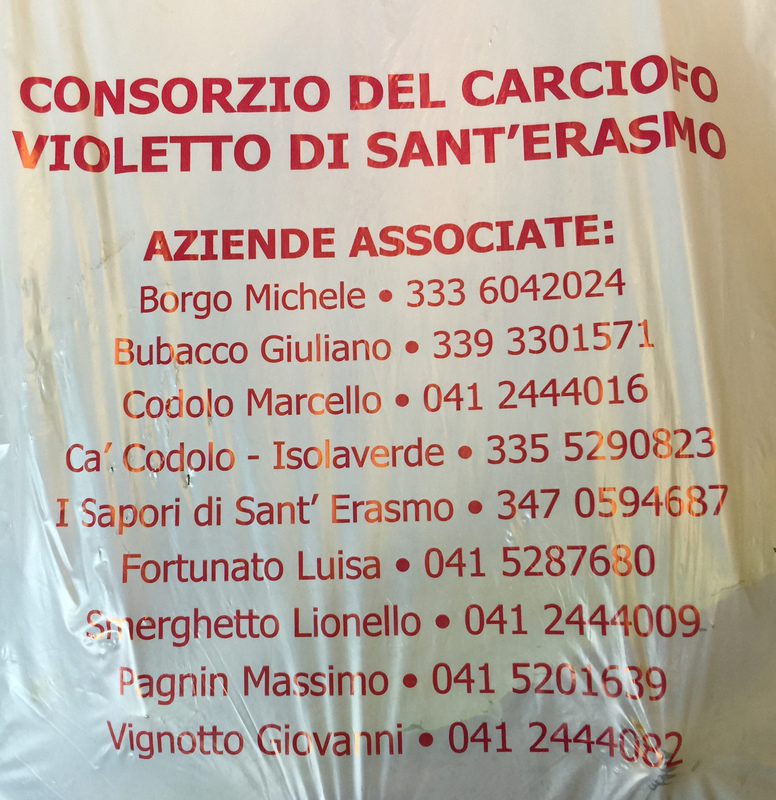 But my friend from the bar let me make a picture of his shopping bag where he had bought his artichokes. Next time, I’ll start by calling and getting directions and have them held for me. My List of Farms on Sant’Erasmo! On the vaporetto over we spoke with a local who gave us directions to a couple of places, but since she had never been by foot, her directions followed the canals she takes in her own boat along with references to landmarks like a white house or two canals over. The island is about 4km (2.5 miles) long and less than 100M across at the largest. In the warm sun of May, it seems a lot larger. The island produces many of the vegetables for Venice that you find in the street markets as well as the Fish Market. They are picked just when ready, not stored in refrigeration and they are amazingly flavorful. Of course you are never far from the fishing. The main course for Venetians is almost always fish or seafood. No wonder they are healthy hearty people. 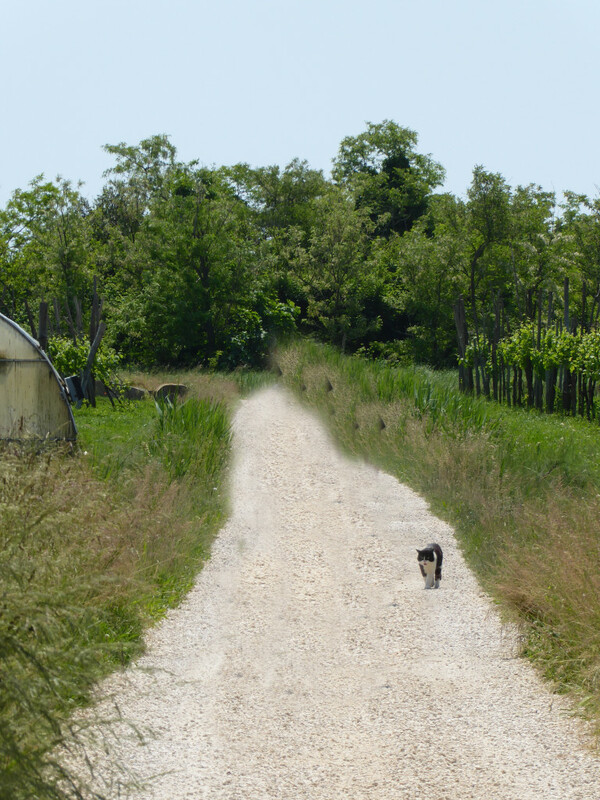 The island seems almost deserted, except for the occasional bicycle which passes or api (little truck) and this cat who took to use almost immediately and followed us until we came to a farm with a big dog! But the Castraure – well we’ll have to wait until next year. And the fishermen, well they returned empty handed. Fortunately for us there is still the Fish Market! Thanks for your lovely detailed writings. They describe a hidden side of Venezia that few of us mere travellers know of. So interesting. Thanks for taking the time and trouble to write these delightful, insightful pieces. Thanks Anne, life in Venice has a way of turning the very ordinary into an extraordinary adventure. I love the view back towards the city with rows of artichokes and just the top of the vaporetto on its route around the lagoon. It seems like a mistake to tell where these are. The crowds would deplete the product immediately. Leave it to the locals. It is in such short supply. Enjoy as a visitor and excellent cooks. 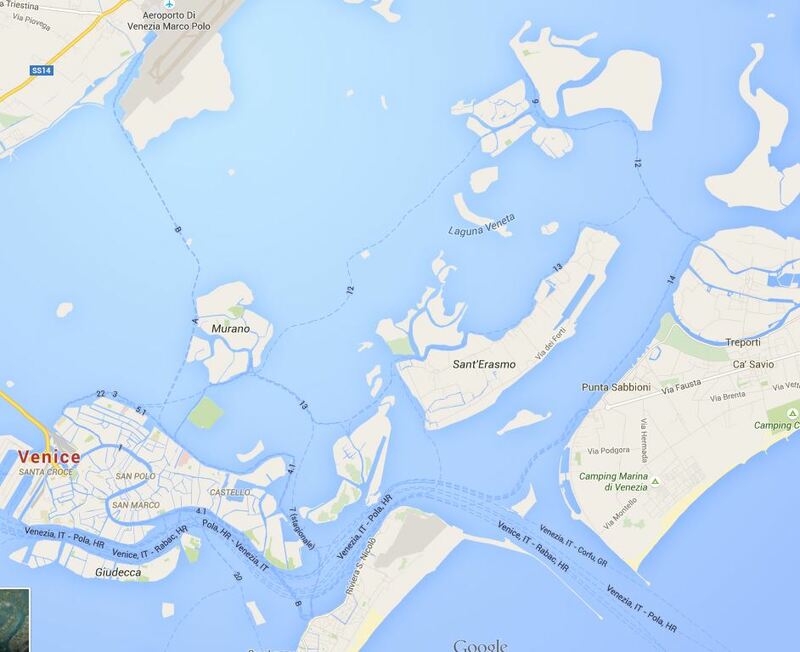 Pat, I agree with you, but I doubt many “tourist” would be able to navigate to the island or around the island. After 20+ years working there, it is still somewhat a mystery as you can tell by our story. 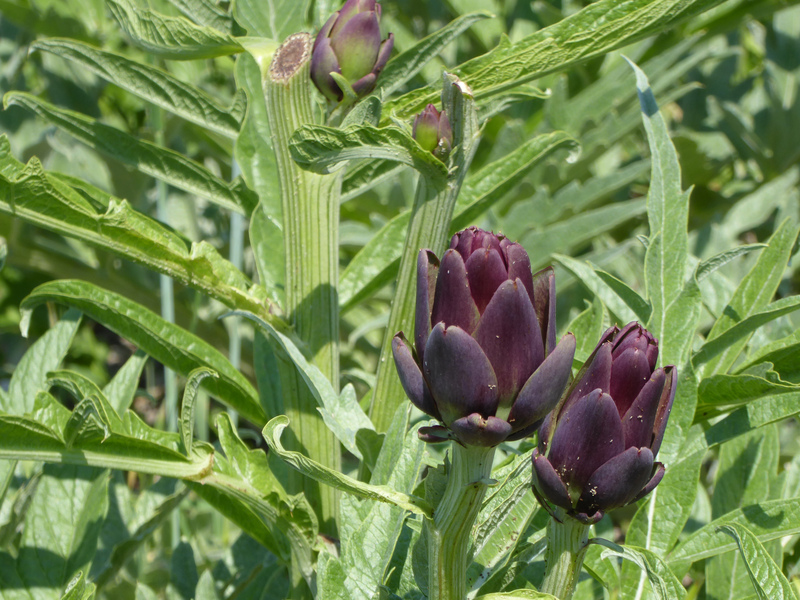 I do have an update which I am working on with the news that a famous restaurant owner is going to grow artichokes. Coming soon….